Transferring Real Property over the years has been mainly conducted by traditional means involving Real Estate Brokerage Companies. Within the List and Sell process, Sellers would negotiate a commission and length of time, which their property would remain in the Brokerage hands. Typically the commission would range from 7 - 10% and the broker would be allowed up to 12 months to successfully Market and Sell your property. This traditional method has gone unchanged for years. 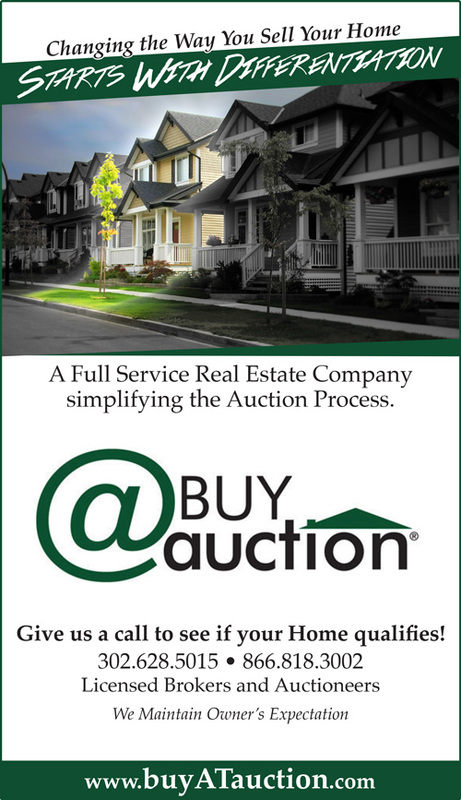 We at BuyatAuction.com realize the need to provide all the services that a traditional brokerage firm lends to the buyer and seller all housed within a program which creates excitement and focus and lowers the cost of doing business. It has become accepted that the Seller pay commissions traditionally, but please realize that it is the Buyer's money coming to the Settlement table. Our program, which is designed to hold the costs down for the Buyer and Seller, which in simple terms brings " more value back to the participants". We do not charge the seller a Auction event commission. Marketing Co-Op fee determined and refunded to Seller at closing. Charge the Buyers a small Buyer's premium on top of their Bid Price, which becomes part of the total Purchase Price. Limit the listing period with Seller to just 120 days. Provide on the spot competitive mortgage assistance through our National Mortgage providers. Assist in all facets of the Settlement process with the Buyer. Provide a state of the art Web Site to allow the Buyer virtual tours, property information, purchase agreement review, mortgage applications, live video streaming, on line settlements*, open house preview dates, etc. Sounds too good to be true. BuyatAuction.com will handle your Real Estate transaction under the same guidelines and protection presented by the governing state. The Auction Process lends excitement, focusing all our attention on our listings, and allowing the competitive market to declare the value.